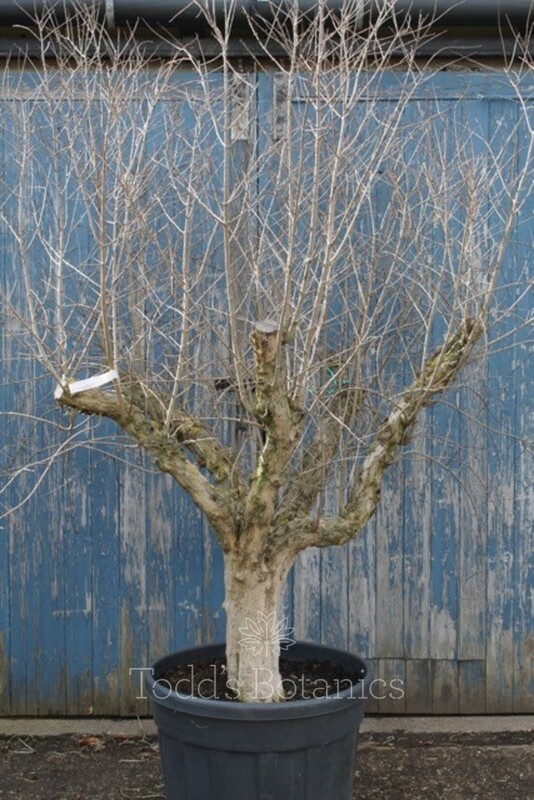 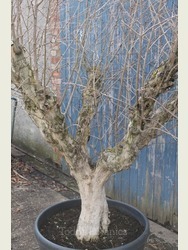 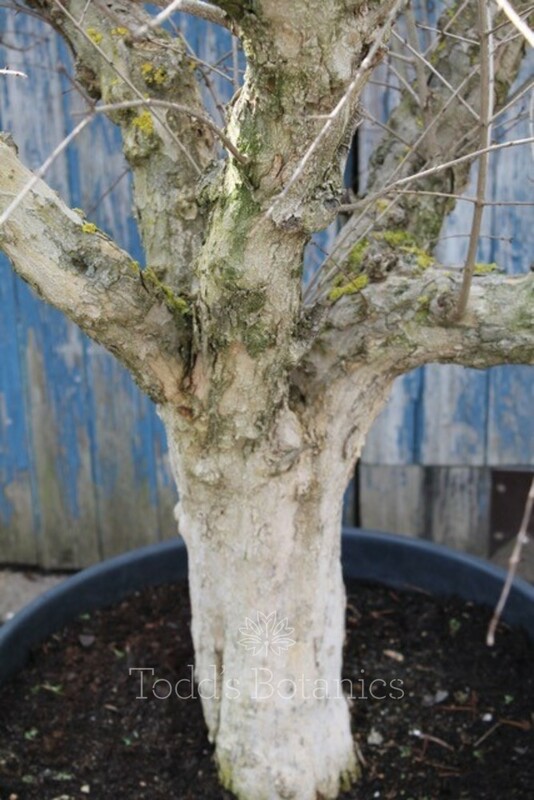 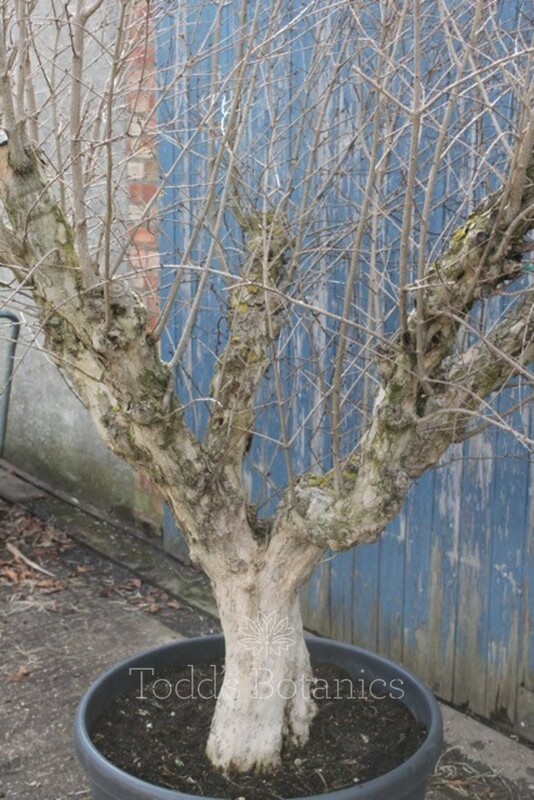 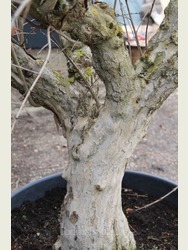 This is a lovely older Pomegranate tree but still a wonderful size for a smaller garden, they have very pretty golden bark which is layered and textural and so trunks are very interesting to look at, so the skeleton framework is really attractive. 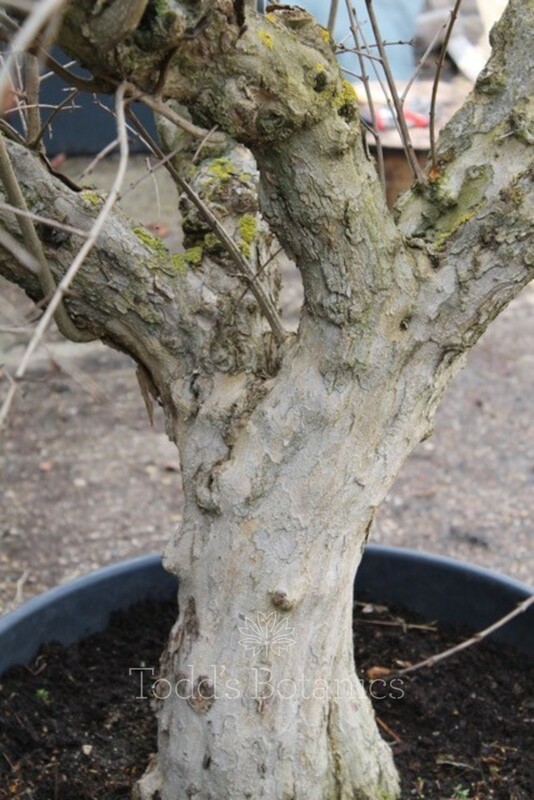 If you plant into a large pot, then the trunk is raised and it really becomes the focal point, same as the gnarled old olive trees. 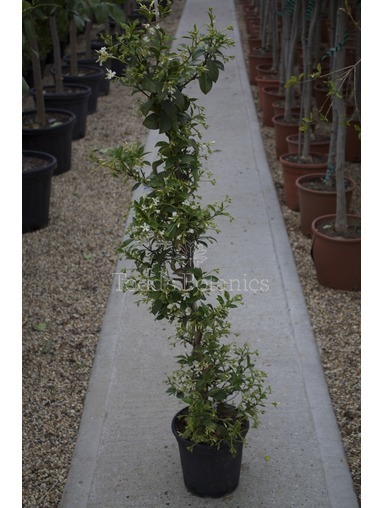 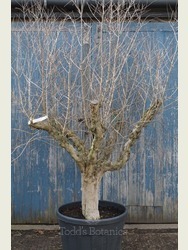 They are deciduous trees and have small pretty fine foliage. 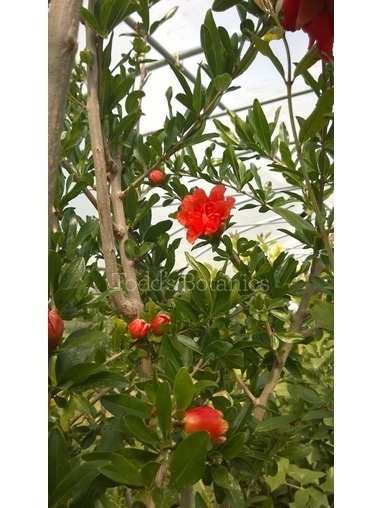 These trees are grown widely in Mediterranean countries for their delicious fruit, in the UK they do flower and fruit but not as prolifically. 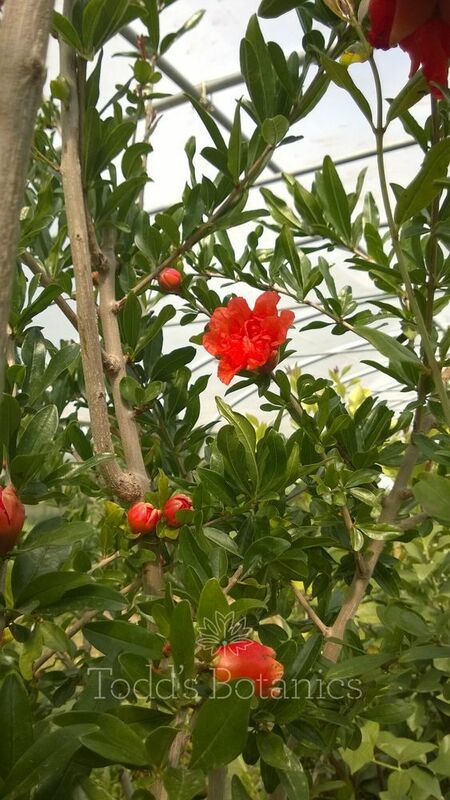 The flowers are really beautiful and almost look like fake flowers as they have a waxy appearence and are an incredible crimson red colour, some of these flowers will set and become fruit, pomegranate trees are self fertile. 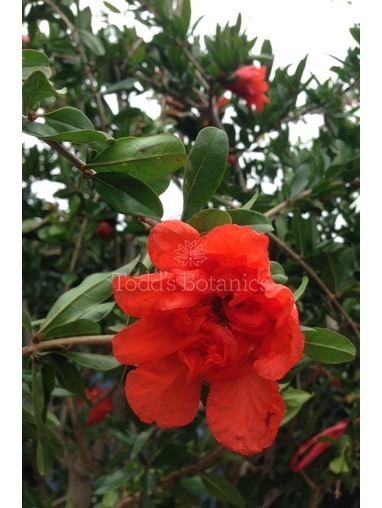 They are suited to a sheltered garden in full sun or part shade in a fertile well drained soil. 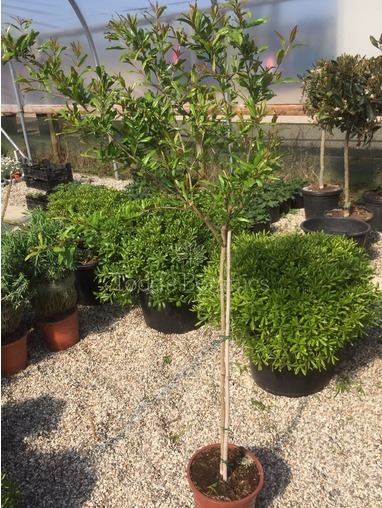 They are drought tolerant in the ground when established, but in pots, as with all containerised plants they need to be well watered and fed regularly during the growing season. 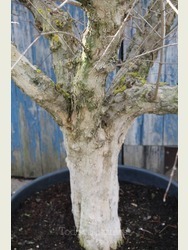 If you would like to grow one in a terracotta pot, then we can recommend http://www.vasotoscano.com/ for fabulous frostproof terracotta pots.